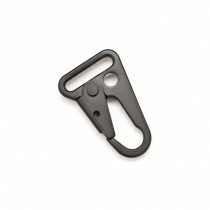 This robust HK Hook is made of black powder coated steel. 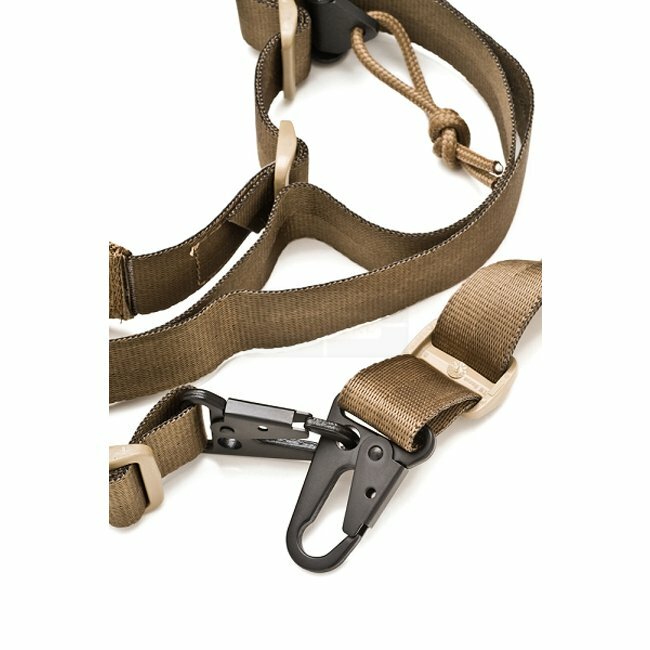 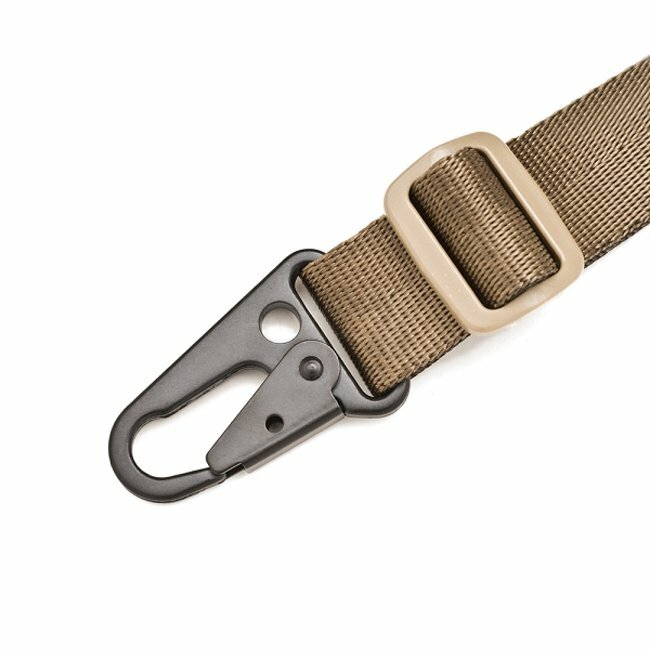 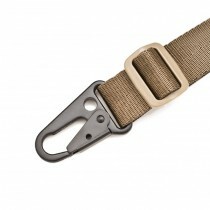 The 25 mm/1 inch eyelet fits the VTAC MK1 and MK2 slings perfectly. 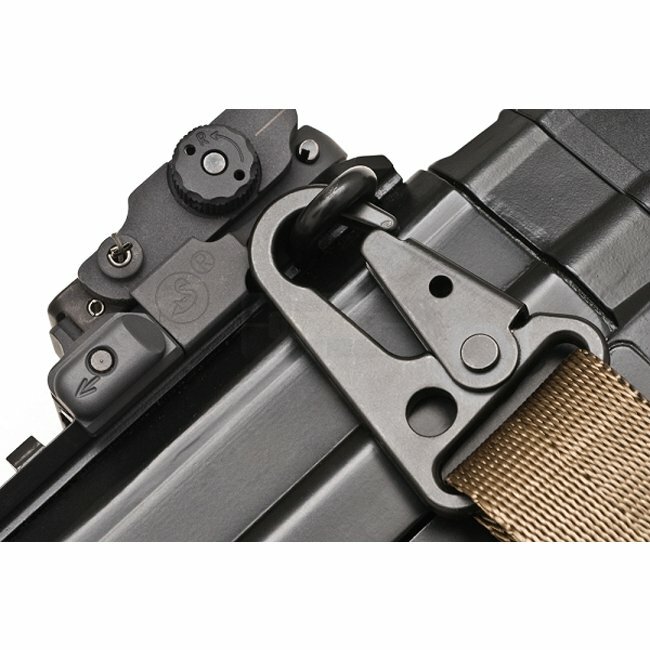 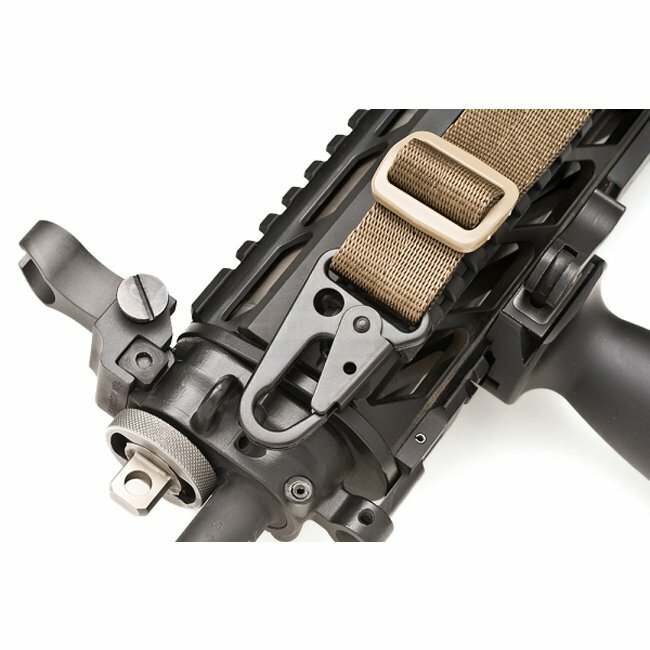 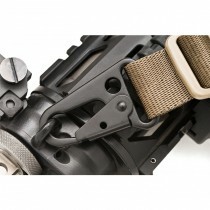 Two HK Hooks also easily convert a 2-point-Sling into a Single-Point-Sling, when needed.